About 20 countries in Sub Saharan Africa have abolished death penalties with more seemingly following suit, in what is now being celebrated as a landmark moment in the right to life, where Africa is being hailed as a beacon of hope. With mandatory capital punishment for murder being a remnant of colonial era penal code, most African countries have had thousands of inmates in death row living in the most deplorable and inhumane conditions. And while the punishment has always been advanced by various leaders as a deterrent to crime, another school of thought has branded it a ‘quick fix’ that doesn’t address the root causes of most societal ills, as witnessed by a spike in major crimes. With the recorded drop in the number of executing countries in Sub Saharan Africa, from five in 2016 to two in 2017, it has indeed been a new dawn for international human rights. Countries like Kenya have been particularly bold in consigning death penalty to history, having not carried out any executions for the last 30 years. In 2016 President Kenyatta commuted the death sentences of more than 2,700 prisoners, which at the time was the population of death row inmates in the country. However the gains are being blighted by countries who have actively championed for capital punishment, who are the majority of the continent’s economic powerhouses. Nigeria for example imposed approximately 600 death sentences between 2015 and 2016 with more than 2,200 people at this very moment on death row. In 2016, the courts in the West African nation acquitted 32 people who were wrongfully convicted. Egypt – another country notorious for advocating for capital punishment – sentenced 402 people to death in 2017, compared to 237 in 2016, marking a staggering 70 percent increase, the highest in the region. 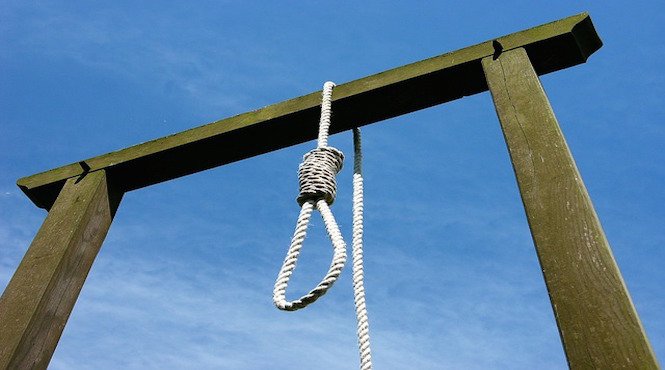 Somalia on the other hand, known for its signature death by hanging punishments, executed 24 people last year.